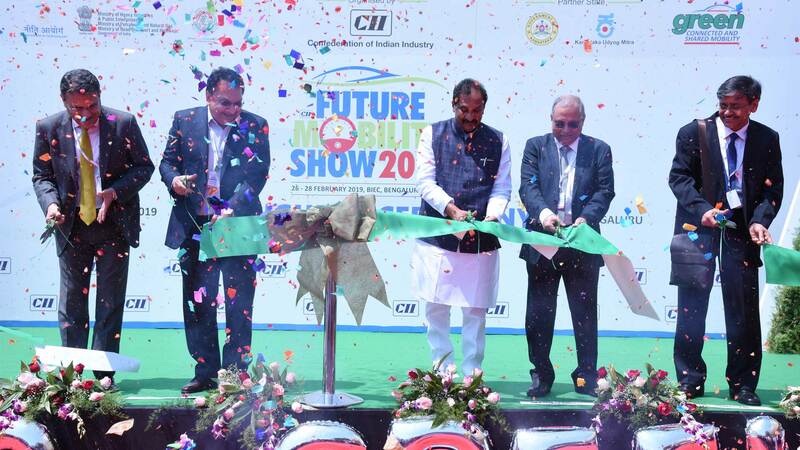 The Future Mobility Show (FMS 2019), organized by Confederation of Indian Industry (CII), kicked off in Bengaluru yesterday, with participation from major automakers, technology suppliers and startups as well. K J George, Minister for Large and Medium Scale Industry, Government of Karnataka, announced some key initiatives at the event. 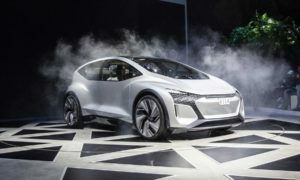 These include India’s first ever electric technology manufacturing hub in Bengaluru by Mahindra Electric, EV charging stations at 108 locations in Bengaluru by BESCOM, and replacing 50% of petrol and diesel vehicles used by the government officials in Bengaluru with electric vehicles. He also added that the urban development department will be amending building bylaws to mandate between 10-20% of the parking space reserved for EV charging. An app is also being developed for EV owners to locate and find EV charging parking slots. The government is contemplating preferential parking for EV and adequate signage in the city to guide EV owners to parking slots. According to him, Karnataka was one of the first states in India to realize the potential of Electric mobility. Today, the state has emerged as a front runner in the sector, determined to play a vital role in driving EV penetration. 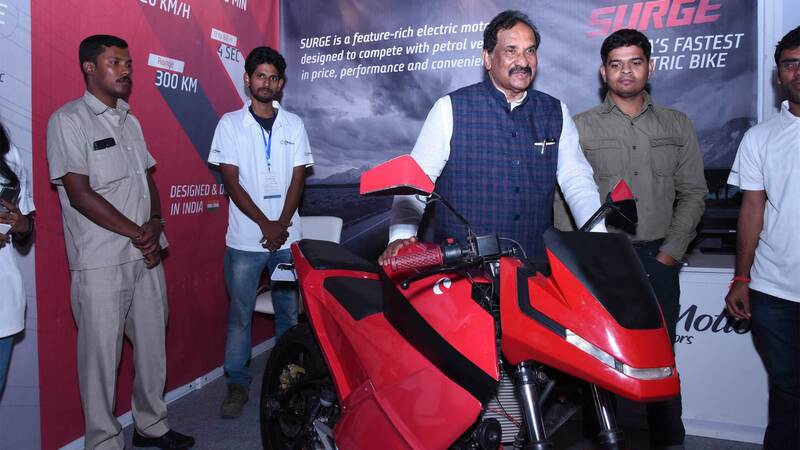 Karnataka is the first state to announce subsidy for electric vehicles. The state has a comprehensive electric vehicle and energy storage policy which is a game changer in the industry and it will be a model for other states to follow. Karnataka’s phased EV manufacturing strategy will strengthen local manufacturing and supply base. The Government aims to establish Karnataka as the electric vehicle capital of India.